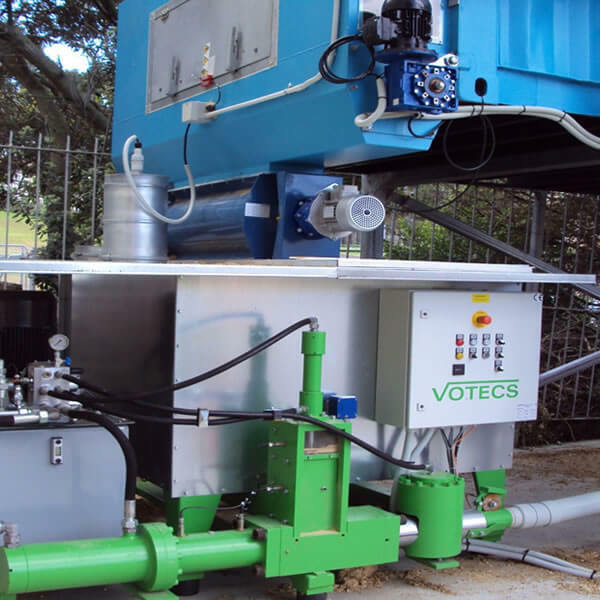 Airtight’s advanced, German-made AP Briquetting Press series provides a waste volume reduction of up to 90%, being applicable for wood chips, MDF, paper, timber shavings, Styrofoam, aluminium and metal swarfs. Briquetting your waste is the ideal way to reduce your factory’s overall waste volume, saving you precious storage space, transport costs and disposal fees. In some cases, you may even be able to sell your briquettes or use them as an affordable means of energy production! 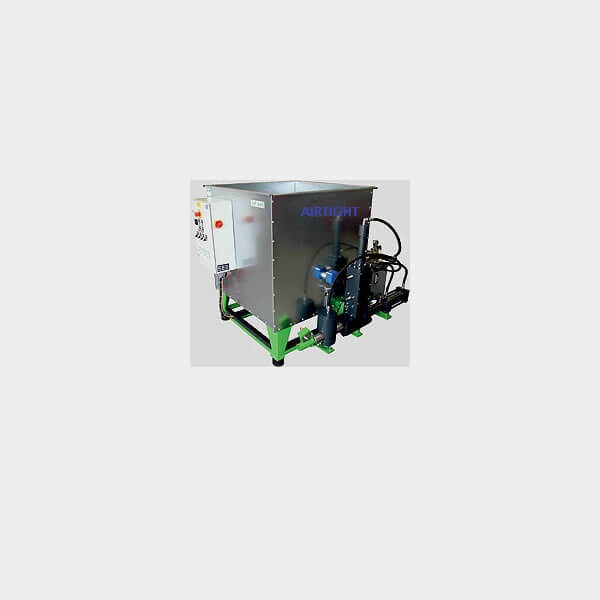 The AP Briquetting Press is designed to be ready-to-go, meaning all you need to do is connect it to power to start using it. The AP Briquetting Press is the ideal way to reduce your waste volume to a compact, manageable form. 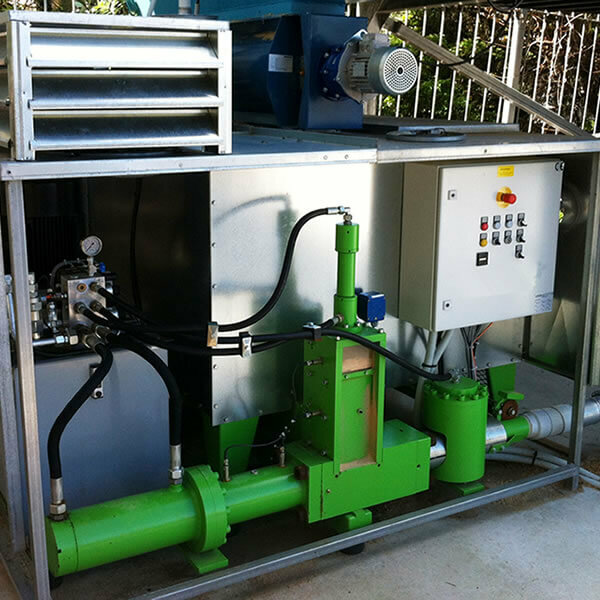 Using hydraulic pressure, the AP Briquetting Press compresses materials into solid briquettes, starting with the material being mixed in a tube extractor and then fed into a pressing mechanism. This material is then pre-compressed, before being compacted by the pressure from the press cylinder. When the predetermined pressure value is reached, the prepared briquette is deposited. 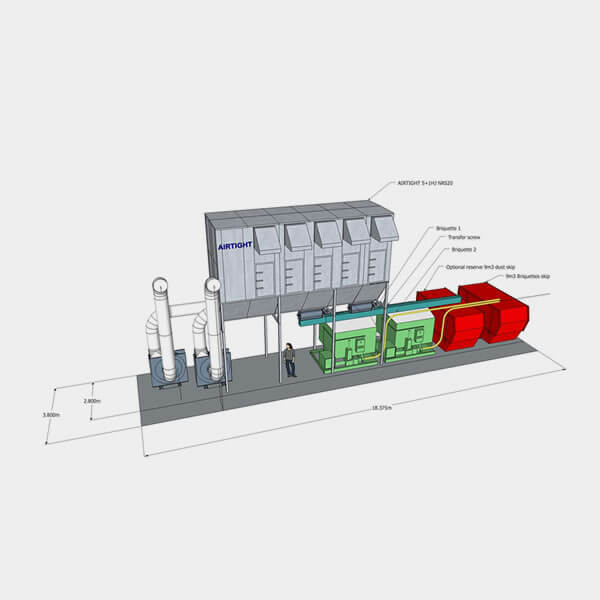 This fully automated system will adjust the feed-in rate depending on the material, as different materials have different compression rates. This ensures that you will receive consistently-formed briquettes. 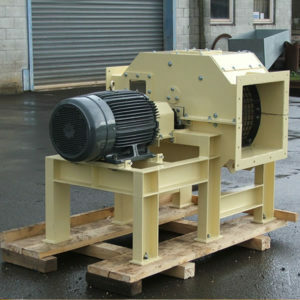 When it comes to briquetting machines, quality and reliability are of the utmost importance. Low quality machines will require extensive maintenance and will not be able to create solid briquettes out of tougher materials like MDF. 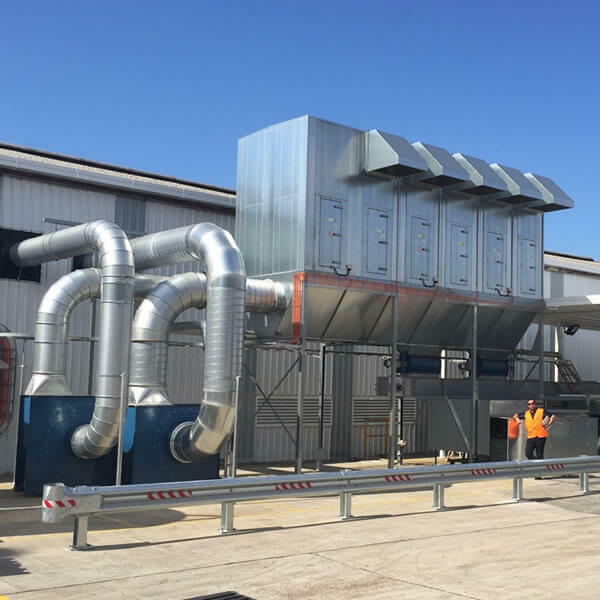 Airtight Solutions are the leaders when it comes to briquetting systems, having provided solutions to some of Australia’s largest manufacturers. Contact us today for expert advice regarding your briquetting needs.